Are you confident on the motorway? Do you wish you could be one of those people that enjoys motorway driving? Driving on the motorway for the first time can be a scary experience. 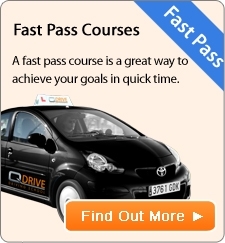 Motorwary driving is one of the most useful skills you can pick up as a qualified driver. You need to know when to forward plan and anticipate other road users. Our "Mastering Motorway" training is specifically designed for drivers lacking confidence on the motorway. Whether you are newly qualified looking to venture out into a motorway for the first time or more experienced and looking to refresh and build up your confidence on motorways, our training will provide you with the skills you need. Our fully qualifed instructor will assess your motorway lesson requirements and develop a lesson plan. You can then book two hour or more lessons as required. The lessons will also be supported by specific motorway course material.
" ...thanks for the motorway lessons, I managed to venture back on the motorway and it has given me the confidence and independence to go places I never would. I'm proud to say that I've driven all the way to Scotland myself! "